Question: What is a watch winder? Answer: Automatic watches contain a small weight that moves on a pivot. As the watch is worn, the normal movements of the wearer cause the weight to turn on its staff, which is connected to a winding mechanism. The rotating weight triggers a series of gears that wind the mainspring. Once the mainspring is fully wound, it can only reserve enough energy to keep the watch running for about two days if left stationary. That’s where ewatchbox watch winders come in. Our high quality watch winders store automatic watches and keep them wound for people who do not wear their automatic watches every day. These winders are particularly useful when the automatic watch contains a calendar feature, which can be difficult and time consuming to reset. 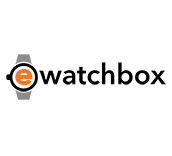 ewatchbox watch winders rotate the watches in circular patterns modeled after human movements, which keeps the watches wound and ready to wear at any time. Often watch winders are known as an automatic watch winder box, watch winding box or winding watch box. Question: How do watch winders work? Answer: Automatic watches contain a small weight that moves on a pivot. As the watch is worn, the normal movements of the wearer cause the weight to turn on its staff, which is connected to a winding mechanism. The rotating weight triggers a series of gears that wind the mainspring. Once the mainspring is fully wound, it can only reserve enough energy to keep the watch running for about two days if left stationary. That’s where ewatchbox watch winders come in. Our high quality watch winders store automatic watches and keep them wound for people who do not wear their automatic watches every day. These winders are particularly useful when the automatic watch contains a calendar feature, which can be difficult and time consuming to reset. ewatchbox watch winders rotate the watches in circular patterns modeled after human movements, which keeps the watches wound and ready to wear at any time. Question: Why do I need an automatic watch winder or watch winder box? Answer: The answer to this question depends entirely on your situation. If you are an automatic watch connoisseur that likes to collect and wear different watches for different occasions, than an automatic watch winder or watch winder box could be a worthwhile investment. Imagine making a last minute wardrobe change and the desired watch for the occasion isn’t keeping the correct time because it hasn’t been worn for quite some time. This can be a frustrating experience. A watch winder becomes particularly useful when your automatic watch maintains a calendar feature. These can be complicated and cumbersome to reset. There are many who believe that in order for a watch to work – it must be used. If watches aren’t worn and displayed in a watch box or watch case it is possible that the internal mechanisms can malfunction over time because they aren’t properly lubricated. If you don’t own multiple automatic watches and wear the one that you own on a fairly regular basis than a watch winder isn’t really necessary. Question: What size of a watch winder do I need? Answer: How many watches you own will help determine what size watch winder you should have. If you only have one watch and intend to wear that watch most of the time, then the movements of your wrist should by sufficient enough to keep your watch wound. If you only wear your watch occasionally, a single watch winder would be beneficial to ensure that your watch is ready and operational when you do choose to wear it. Do you own more than one watch? The common sense rule would be that you should own an automatic watch winder with enough slots to keep all your watches, minus one. (number of watches – 1 = size of watch winder).This assumes that you will be wearing one watch, and the other watch(es) is in the winder, being wound or stored, ready to be worn. The idea would follow, that if you own 2 watches, you would need a single watch winder; if you own 7 watches, one for each day of the week, you need a watch winder with at least 6 spaces. If you are an avid watch collector (or wanting to become one), you should consider the additional options that come with larger watch winder boxes or large automatic watch winders. These investments can be used for storage, even securely storing your valuables under lock and key. Question: What does your automatic watch manufacturer mean when they say recommend watch Turns per Day or TPD? Question: I am thinking about buying a watch winder that has a clockwise, counter clockwise and bidirectional rotation setting. What does that mean? Answer: Let’s say the manufacture recommends a setting of 1800 turns per day. Using a bidirectional setting (the duration and frequency will vary by watch winder manufacturer) the turntable will rotate clockwise for 10 minutes then rotate counter-clockwise for 10 minutes (this will repeat for 1 hour), then rest for seven hours, then repeat; which provides a total of 1800 TPD. Question: What is the difference between a watch winder with a single head winding mechanism and a double head winding mechanism? Answer: A single head winding mechanism allows for a single watch to be wound whereas a double head winding mechanism allows for two watches to be wound at once. Generally a watch winder that allows for two watches to be wound on the same head at once is less expensive than buying a watch winder with two separate winding mechanisms. The drawback comes when one watch manufacture recommends 900 turns per day and the other watch manufacture recommends 1800 turns per day. It is likely that one watch would be over wound and the other watch would be wound to the manufacturer settings. Question: Is a watch winder built with a Japanese Mabuchi motor necessary? Answer: Considering the fact that one of the most important components of a watch winder is the winding motor – it needs to be quite and reliable. The Japanese Mabuchi Motor Corporation has been building electric motors since 1946. According to many Mabuchi Motors is the world market leader for small RC-motors. Some sources the company holds 70 percent of the automotive motor market. What does this mean for my watch winder that contains a Mabuchi motor? It contains a belt driven motor manufactured by a company that has been in business for a long time. While this doesn’t guarantee that you won’t have problems with the motor down the road – it means that your changes are significantly lower than with the purchase of a winder with another motor manufacturer.